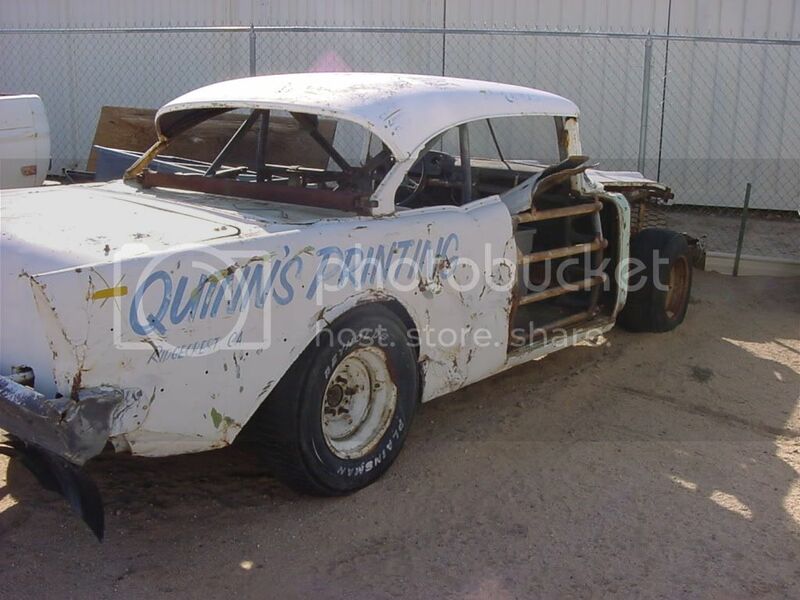 Vintage Race Cars For Sale Occasionally we stumble across interesting old vintage race cars for sale on the internet. We post them here so we can talk about them and share them with each other. can anyone give me an idea what this car is worth. its a california car, with no rust. has most of the stock floorpan and all of the original body. i believe the bumpers are original as well. has weight jacks and a 9inch rear end from a 57 mercury. the car is rough, but its a race car. 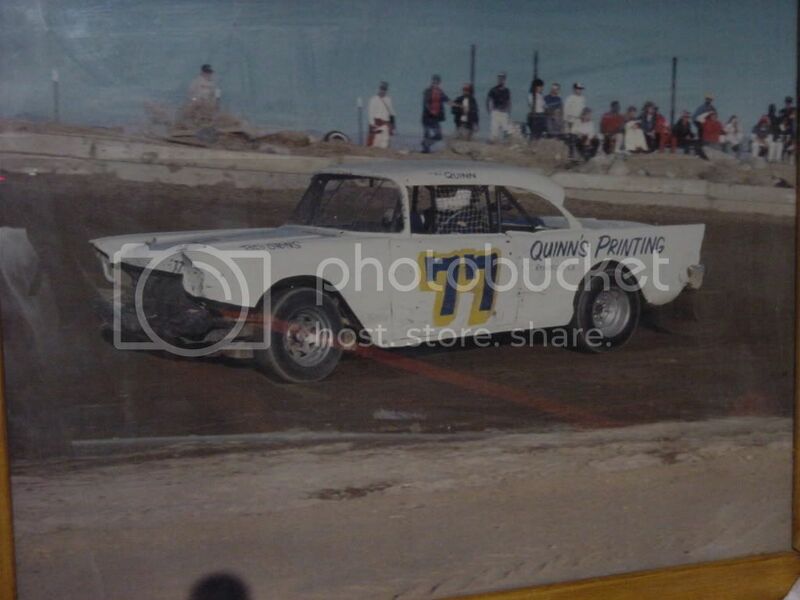 my dad last ran this car in pearsonville ca, in 1988 or so. how did you get the pictures so big? Just a little food for thought...My experience in life has taught me the things close the heart have both emotional and real world value. Sentimental and emotional items are worth a fortune to the person involved but may not hold real world value. Real value being only as great as another persons williness to pay a price. Something to consider, are you and/or your father in a position to restore this car? Making this a family project might hold the greatest value of all. PRICELESS!! Possibly get freinds involved that have resource or talents needed. we actually planned on that at one time. but the reality of it is that we can barely muster up the time, money or ambition to field our current racing endevors. and to be honest this car has no real sentamental value to us. my dad bought the car in 1987 and only ran it a few times. so really we should sell it and let someone give it the attention it needs. now on the other hand, the Ascot Super Mod my dad built in 1965 or so will need to be pryed from my cold dead hands. that is part of the family. thanks for the interest. hope we can find it a good home. so we were thinking like $2500. would love to see her restored. Have you sold this car yet?